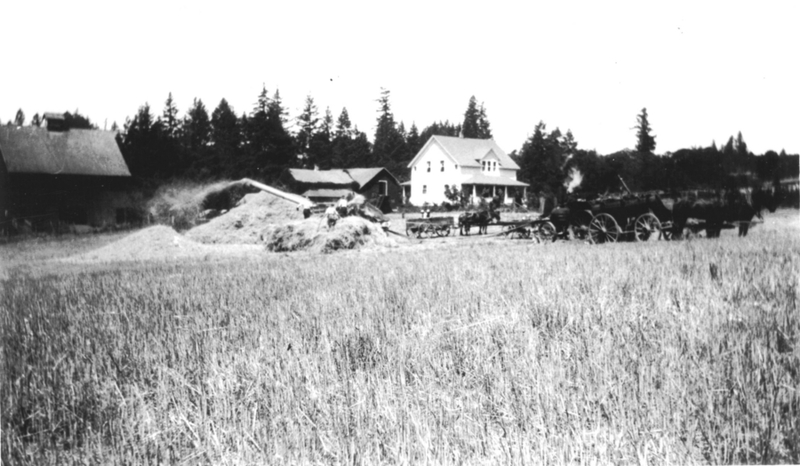 Threshing with team of horses, 1914 or 1915, on Wenzel Farm. 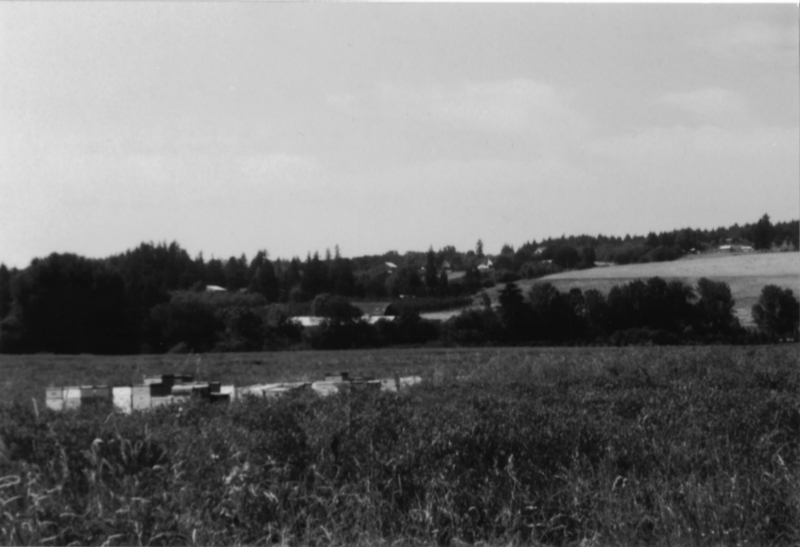 Wenzel farm bee boxes and view of Northwest, August 1995. 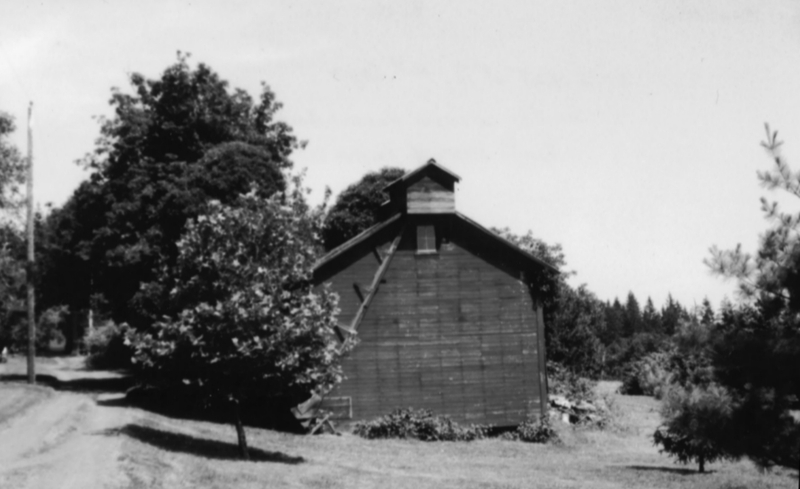 Barn and house are visible in the upper center of picture. 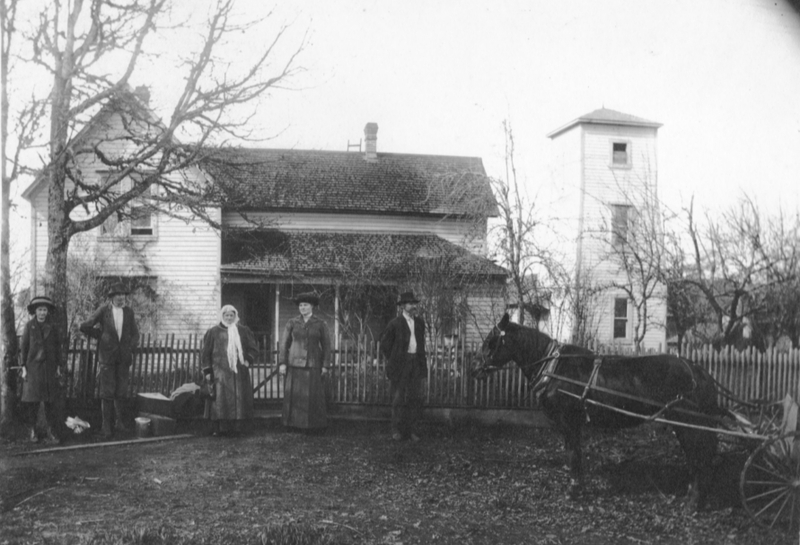 Farmhouse with tower, 5 people and a horse. 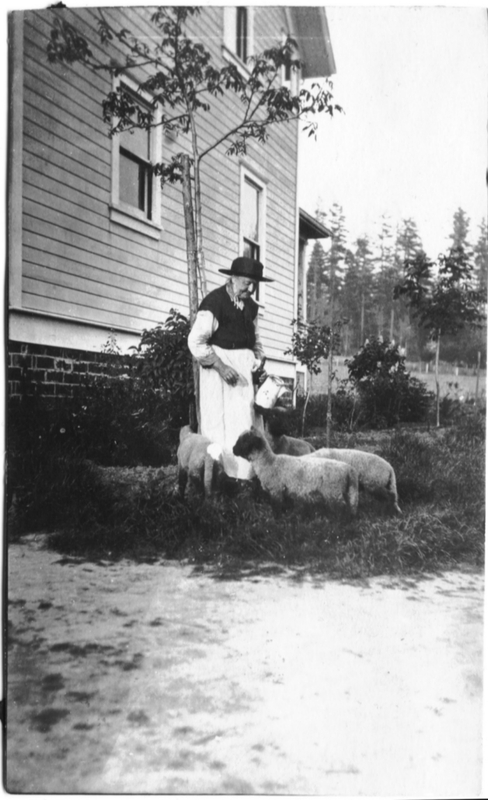 All unidentified. 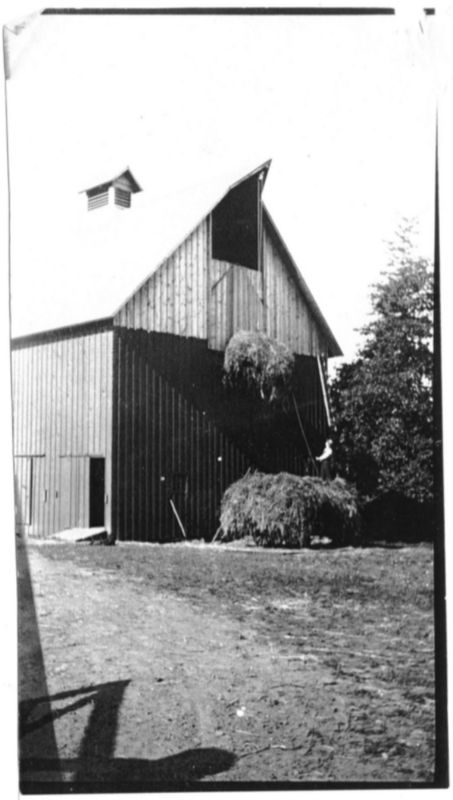 Hay being lifted into loft. 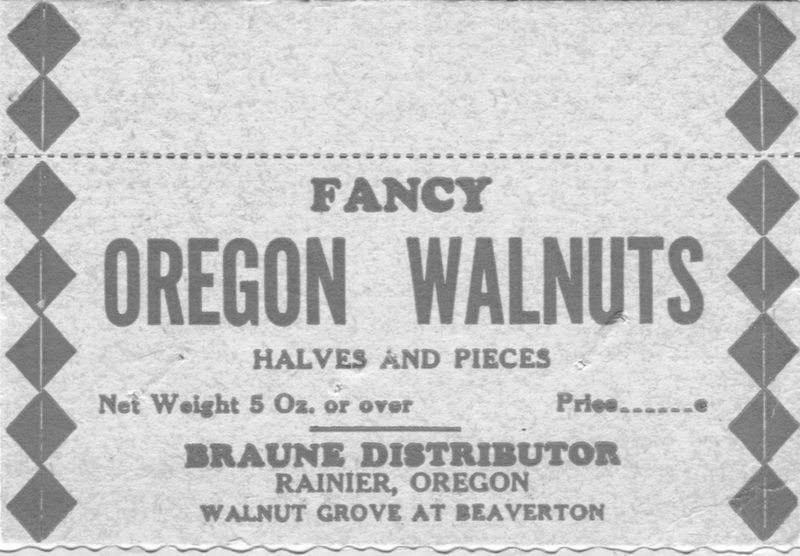 Kurt and August's Oregon walnuts fruit stand. 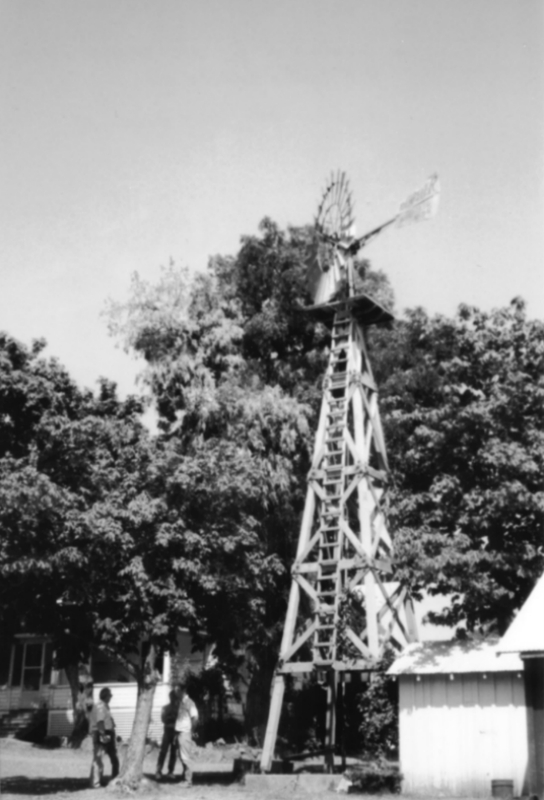 Reedville. 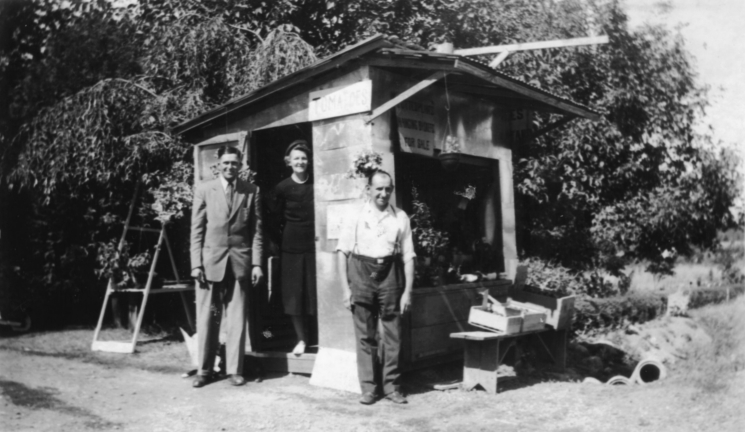 Bill, Alga and Kurtz Braune. 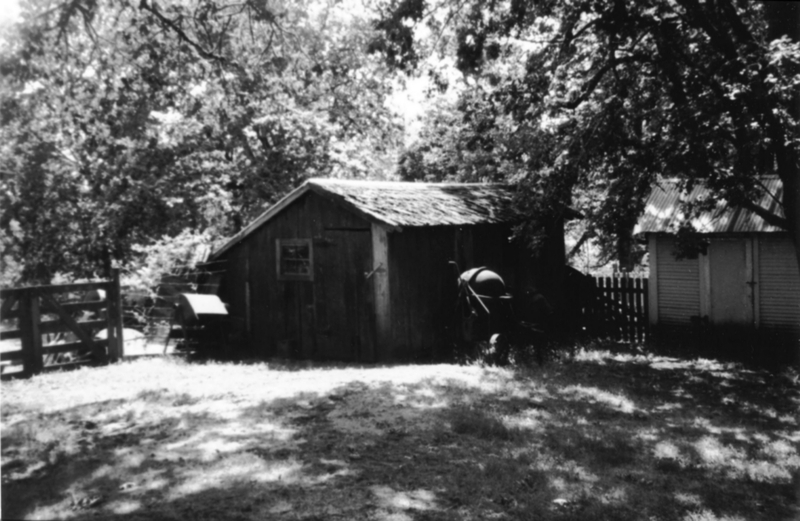 Wenzel farm barn west side of Grabhorn Road, August 1995. South slope of Cooper Mountain. 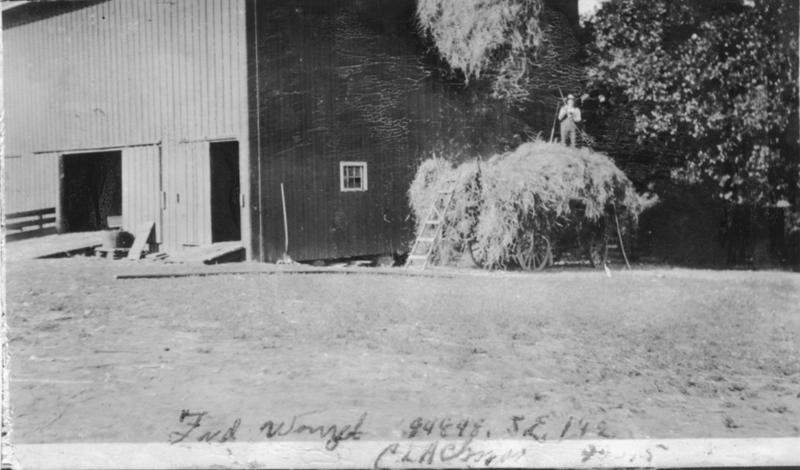 Wenzel farm grainery built. Note school sign on front of building. 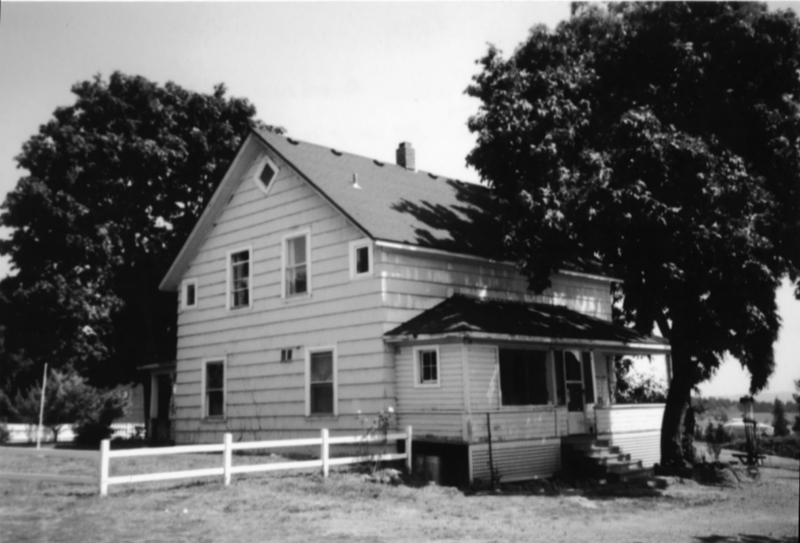 Wenzel farmhouse, as of August 1995. 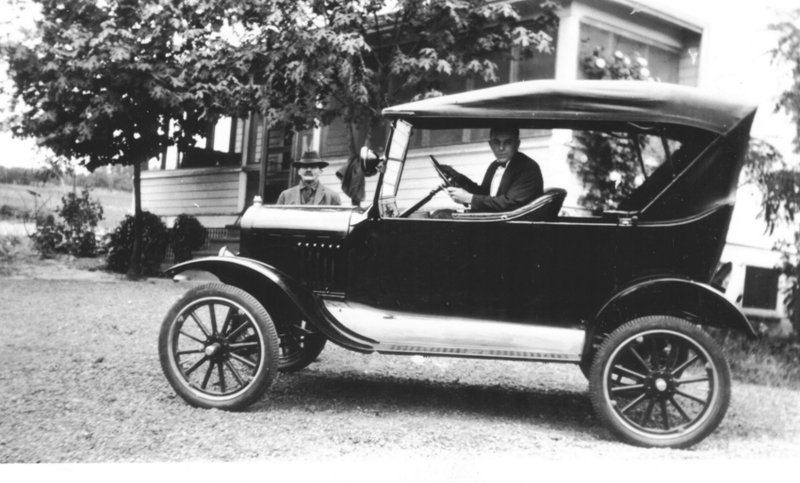 Now owned by Grice family. Note the tall old gas pump in lower right.